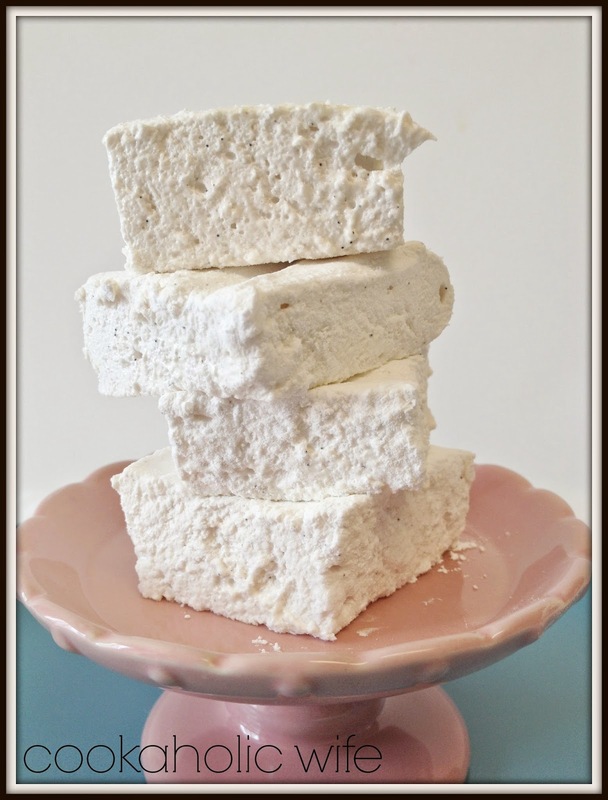 I’d love to tell you why I made these marshmallows but then it would ruin tomorrow’s recipe. Let’s just say it’s insane. Delicious. But insane. And it will all make sense tomorrow morning at 9 am when I share Thursday’s recipe with you. But, if you’re just in the market for some homemade marshmallows, I highly recommend this recipe. Marshmallows are much easier to make than you would expect. You just need a candy thermometer and some patience. 1. In the bowl of your stand mixer with the whisk attachment affixed, add 1/4 cup of cold water. Sprinkle the gelatin on top. Set aside. 2. Using the tip of your knife to scoop out the vanilla bean. 2. Combine the remaining water along with the sugar, light corn syrup, vanilla bean and salt together in a medium saucepan. Cook over medium-high heat until a candy thermometer reaches 240 degrees or the soft-ball stage. Remove from the heat immediately. 3. Start your stand mixer on low speed and slowly pour the vanilla mixture from the saucepan in. Increase to high and mix for 12-15 minutes or until the mixture is lukewarm and very thick. Stir in the vanilla at the last minute. 4. Spray a 9×13 baking dish and a spatula with non-stick cooking spray. Combine the powdered sugar and cornstarch together in a bowl. Dust the baking dish with the mixture. 5. Spoon the marshmallow mixture into the prepared dish. Sprinkle another layer of the powdered sugar mixture on top. Allow to sit for 4 hours but up to overnight. 6. Turn out the marshmallows onto a cutting board and cut into shapes or squares. Roll the sides in the remaining powdered sugar mixture to stop them from sticking together. Store all leftovers in an airtight container. 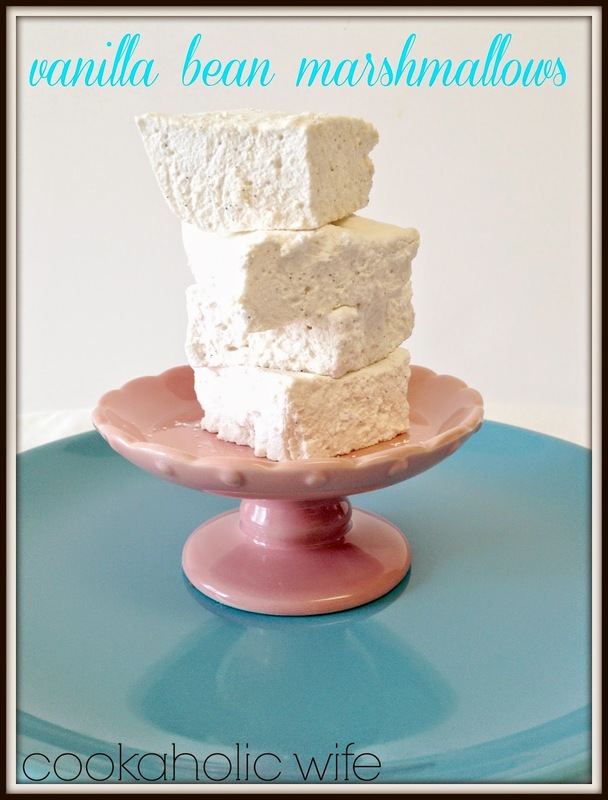 Just so you know, homemade marshmallows are about a thousand times better than their store-bought counter part. These will last quite a while in an airtight container, so I really think you should make them ASAP. Especially after you see tomorrow’s recipe! I’m so excited to share it with you!